If, like me, you are mere seconds away from tears at all times of day and haven’t slept properly since mid-June, perhaps you need a break. You’ve been dreaming of glorious sunshine, sleeping in past 8.30am and actually having time to read a book that you’re not academically obliged to. Maybe you just want to discover somewhere new and get out of the fiery pit of hell that is London in the depths of winter. However, I imagine that like me something is preventing you from acting on this travel bug… that’s right, you guessed it- money! The problem with the jet-set lifestyle is that it’s incredibly expensive. Student life simply doesn’t allow for a spontaneous weekend in Barcelona or a mid-week mini break to Prague. However I recently realised that despite what your favourite Instagram influencers tell you, you don’t actually have to go abroad to have a lovely and relaxing holiday. 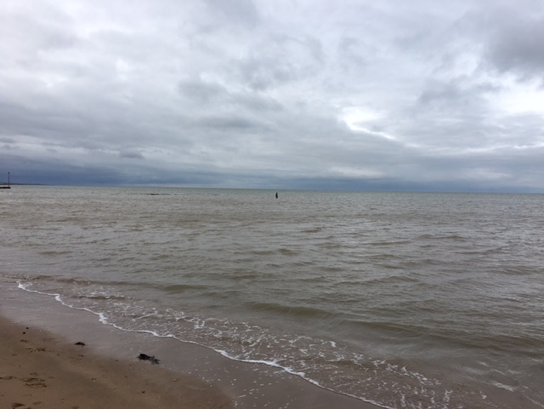 I discovered that to have both a fun and wallet friendly holiday, all I needed to do was head to glorious Margate! At just an hour and a half from London by train, Margate is the perfect place for a weekend escape from London. Train tickets are super reasonable, I got mine for about £15 return and the station in Margate is really well positioned. Not only is it central, it’s also a five-minute walk from a Spoons so you can immediately shake off the city blues and get in the holiday spirit with copious amounts of Pink Gin. As well as spoons, Margate has so many amazing places to eat. Alongside some of the best chip-shop-chips I’ve ever had, there are so many cosy sea-front restaurants offering fresh and delicious seafood alongside loads of Vegetarian and Vegan options. We had a wonderful meal at Hantverk & Found where my boyfriend tried his first ever oyster which for me, a lifelong vegetarian, was truly disgusting but which he thoroughly enjoyed. I also loved the nightlife and got the chance to visit some really lovely pubs such as Brewdog owned The Lifeboat where they had a vinyl DJ playing old classics. I found that there was a real buzz in Margate that was so, so charming. My favourite thing about Margate was all the lovely shops. It’s a haven of antique and vintage shops offering quirky clothes and furniture and I loved having a browse of the amazing collections the shopkeepers had curated. 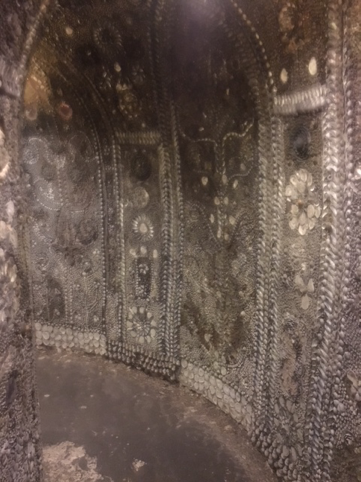 I also got the chance to visit some tourist hot-spots such as Margate’s Shell Grotto and the Turner Contemporary which were both really interesting and different from the museums and attractions on offer in London. I think though perhaps the best thing about my stay-cation was actually taking some time to rest and recuperate. University can be an incredibly stressful time. 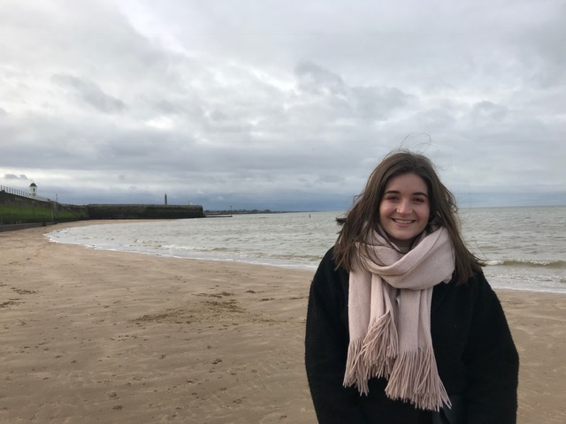 Balancing uni-work with part-time work alongside maintaining a social life and finding time to rest is one of the most difficult things I have ever experienced. Often we forget to take a pause and allow ourselves a couple of days to just have time to enjoy life without thinking about everything we should be doing. I personally find it so challenging to actually relax without constantly making a mental list of all the work I need to do and in my final year I have found myself attaching shame to the idea of rest. Giving myself just a weekend to truly take a break has been the most wonderful and revitalising decisions and I would urge anyone struggling with stress to do the same. You don’t necessarily have to go on a stay-cation to Margate (although you should it’s amazing). If it’s easier for you, you could just go on a day trip, visit a part of London you haven’t seen before or even just spend a day in bed watching Netflix. Take some time to simply exist and to just be. Take some time to relax because, as hard as it is to see sometimes, you deserve it.